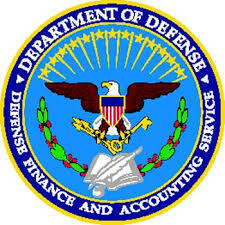 The Defense Finance and Accounting Service (DFAS) implemented the myPay web-based system in March 2000. myPay delivers pay information and lets you process pay-related transactions timely, safely and securely. The web-based system protects against identity theft and is faster and more secure than regular mail by allowing members to access electronic 1099R, RAS and other financial information. myPay matches industry standards for the highest level of encryption and security to protect myPay users. If you do not have a Password for accessing myPay, you can obtain one by clicking on the Forgot or Need a Password? link on the myPay website at the web address shown above to receive a temporary Password. If you have any questions concerning myPay, please call toll free at 1-888-DFAS411 or 1-888-332-7411, Commercial 216-522-5096, or DSN 580-5096, 8:00 a.m. – 5:00 p.m. Eastern Time. If you have any questions regarding the information on your 1099R, please call 1-800-321-1080.